I started my card with a Real Red card base. The next layer is a piece of Whisper White embossed with the Square Lattice emvossing folder and a piece of real red ribbon wrapped around the middle. Next I die cut 3 hearts from the SU heart framelits. On the largest heart I stamped the En Francais background stamp in Real Red ink, the middle heart I embossed with the Square Lattice folder and the smallest heart I stamped the image from the set Take It To Heart in Real Red ink. I layered all the hearts and attached them to my card and then placed a bow I made with the Real Red ribbon to the left of the hearts. To finish I stamped the banner in Real Red ink from the new set called Bloomin Love and then stamped the sentiment (masking off the heart) inside the banner. I fussy cut the finished banner and using pop dots placed it on my card in the lower left side and then using the mini heart punch cut a heart out of a piece of Real Red cardstock and placed it right above the banner. Thank you so much for stopping by and I hope you enjoyed my card today. 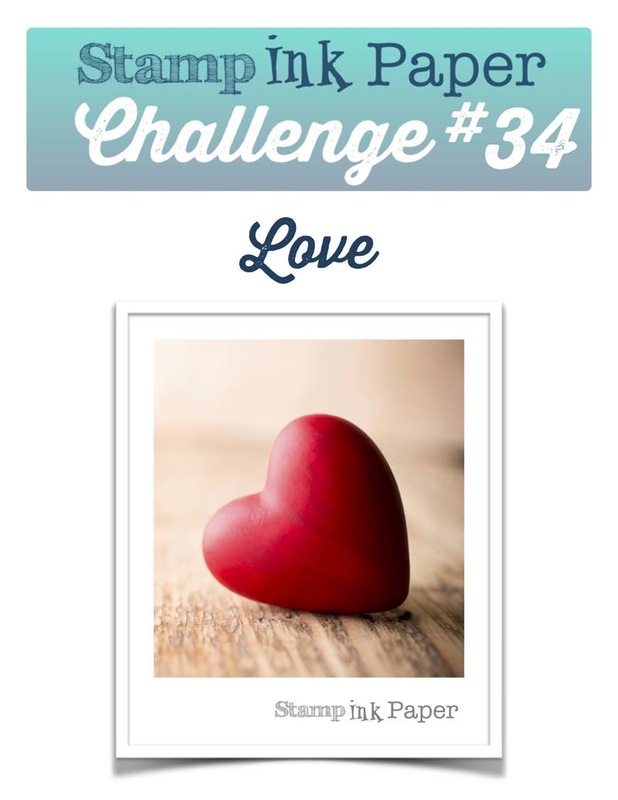 If you feel inspired please go to Stamp Ink Paper and enter your creation. I would love to see what you create! 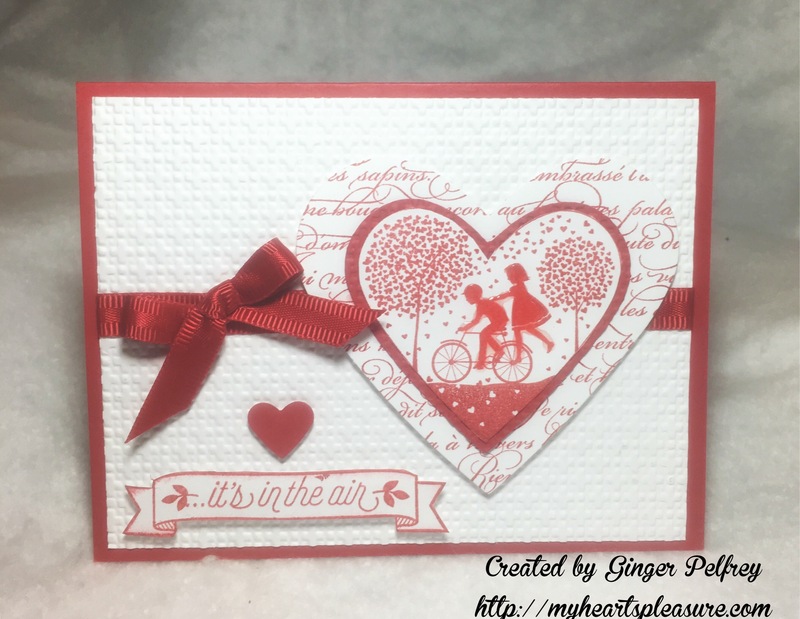 Categories: Stamp Ink Paper, Uncategorized | Tags: Bloomin Love, En Francais, Real Red, Square Lattice EF, stampin Up, Take It To Heart, Whisper White | Permalink.